Product prices and availability are accurate as of 2019-04-09 15:48:40 EDT and are subject to change. Any price and availability information displayed on http://www.amazon.com/ at the time of purchase will apply to the purchase of this product. CHERRY PLUM Prunus Cerasifera / Myrobalan - 8+ SEEDS Genus - Prunus Species - Cerasifera / Myrobalan Common name - Cherry Plum Other names - Prunus Myrobalana Pre-Treatment - Required Hardiness zones - 4 - 9 Height - 3 - 6 m Spread - 3 - 6 m Plant type - Small Tree Vegetation type - Deciduous Exposure - Full Sun Growth rate - Fast Soil PH - Acidic, Neutral Soil type - Loam, well drained Water requirements - Drought Tolerant, Average Water Landscape uses - Feature Plant, Foundation, Fruit / Fruit Tree Germination rate - 75% Leaf / Flower color - Green / White Plant growth rate - Fast An ancient hybrid escaped from gardens, cherry plum is a small, rounded deciduous tree found throughout southern Europe and southwestern Asia. 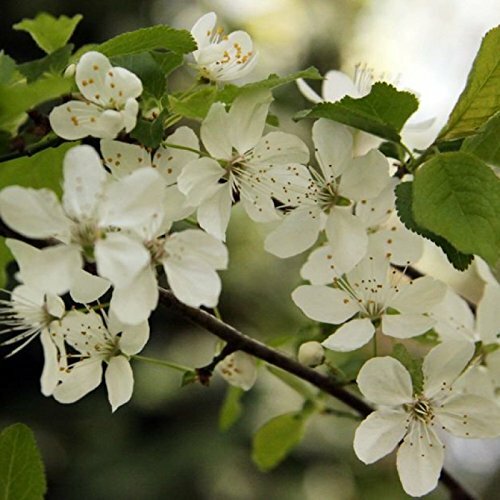 In spring, it covers itself with white or light pink flowers. 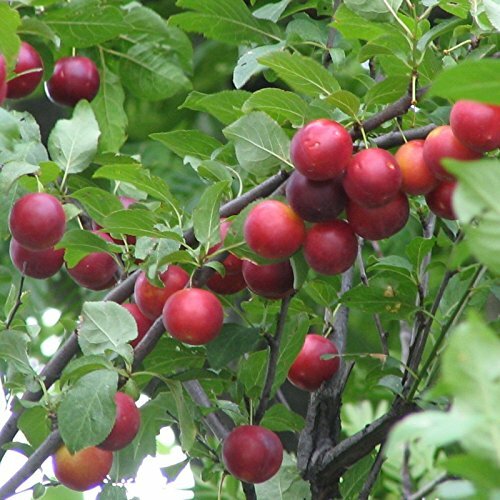 This heat-tolerant plum needs well-drained but moist soil and full sun. Being small it is useful for home gardens. The dark foliage of the purple-leaved forms make them valuable as a landscape feature or foil. 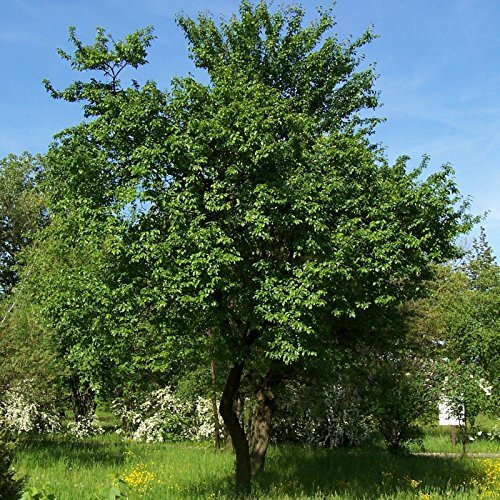 This tree may be trained as a flowering hedge, sheared after flowering.